Andrew Faulkner Associates Ltd specialise in the conservation, adaptation and reuse of historic buildings and the design of new buildings in historic settings. We are currently involved with historic building projects across Wales, the South West of England as well as Cumbria and Suffolk. We seek to provide an approachable and thoughtful architectural service for historic buildings as well as for new building projects in historic settings, and offers a full architectural service from initial condition surveys, feasibility studies and options appraisals through statutory consents, technical design, tender, contract administration and inspection of work on site. This includes supporting clients with advice, design work, liaison and coordination of projects at all stages, and the strategic management of their buildings in the short, medium and longer terms. Andrew trained at the Welsh School of Architecture where he has since taught part-time as Module Leader on the MSc in Sustainable Building Conservation. He is an RIBA Chartered Architect, Accredited in Building Conservation (AABC) and former scholar of the Society for the Protection of Ancient Buildings (SPAB). 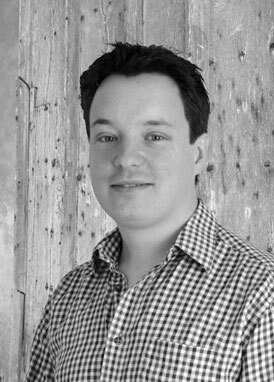 Andrew held positions in established architectural firms in England and Wales, including Caroe & Partners and benjamin + beauchamp architects, before moving back to Wales to establish his own practice, Andrew Faulkner Associates Ltd. He is currently working on significant projects across England and Wales for a mixture of private, public and charitable clients on a wide variety of historic building projects. He is appointed by the Bishop of St Davids to the Diocesan Advisory Committee and is a member of the EASA and the SPAB. Andrew has been privileged to work on many country houses, a number of mediaeval cathedrals in England, Wales and Ireland, and more than a hundred parish churches in Wales and the South West of England. He has undertaken condition surveys on castles and archaeological sites for English Heritage and coordinated emergency repairs to a number of historic structures including a 200’ church spire in Bristol, partial reconstruction of the Market Cross in Cheddar (follow ing vehicular collision), and emergency shoring works to a listed barn in Cumbria. In addition to his architectural work Andrew enjoys drawing, painting and printmaking with historic buildings and welsh landscapes forming a large part of the subject material. His work is exhibited in group exhibitions from time to time and may be viewed online here. 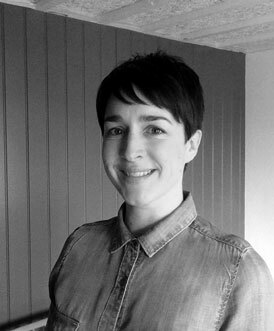 Laura has 10 year’s experience working as an ARB Registered Architect and is working towards achieving an accreditation in Building Conservation following completion of an MSc in Sustainable Building Conservation at the Welsh School of Architecture. Laura completed her Part I and Part II at The University of Sheffield and whilst working for EPR Architects in London she completed her Part III at London Metropolitan University. Laura’s work experience ranges from new buildings in historic settings to alterations and refurbishments of listed buildings, both commercial and residential. Having worked in commercial practice both in the UK and abroad, Laura relocated to Wales in 2012 where she has carried out a variety of work for private clients augmenting her interest in historic architecture. Laura is currently working on a range of historic building projects including listed churches, Country Houses and listed barn conversions in South Wales.